Posted in Associations, Government, News, under Europe. Tagged with Bienvenue en France, Campus France, Edouard Phillippe, France, Scholorships, Welcome to France. Campus France, in partnership with the French government, has revealed a new strategy for international student recruitment for 2019 and onwards. With a headline target of attracting half a million international students by 2027, the French higher education body has a six-point plan to improve the offer from the globe’s 4th most popular mobile study destination, and help students “Choose France”. Key among these is the simplification of the French student visa regimen, increasing English medium instruction courses by removing legal roadblocks, tripling the international scholarships available, and launching a global campaign to raise the nation’s educational profile. The visa system is of high priority, according to the new strategy, as 51% of international students have picked out cumbersome bureaucracy (including the visa system) as a problem when studying in France. 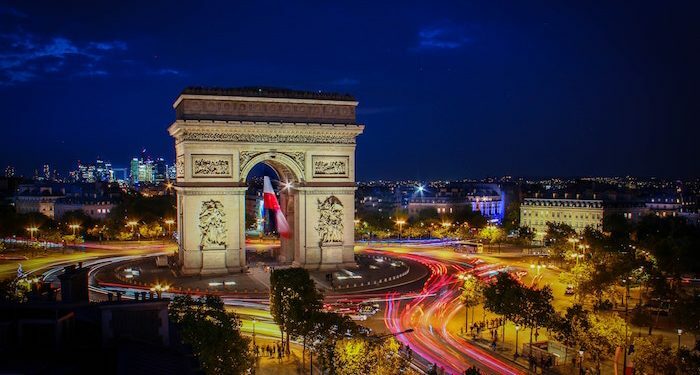 Campus France has recommended international students should be given priority in the visa application process, which should also be transformed to a digital portal, a ‘one-stop shop’ of sorts, to ease the complications students have reported. Trouble with finding work or remaining in or returning to France were also cited by students, though there is no extension to post-study work policies. “Our objective is to win the international battle by welcoming the brightest and most deserving students, whether from Beijing or Kinshasa, whether they study artificial intelligence or medieval linguistics” – Edouard Philippe, French prime minister. Although the increase in EMI courses may generate headlines (especially when the PM is used to announce the policy), it is in line with the actions of other European nations which France competes against for students – such as the Netherlands. But along with courses in English to attract international talent, Campus France recommended more FLE courses (French for non-French speakers, or français langue étrangère) to help integrate international students from outside the Francophonie. Gaining more international students not from a French-speaking background is one of president Emmanuel Macron’s stated aims for the policy, perhaps signalling a transition from the status quo which involves many students coming to France from former colony nations. New courses at French HEIs will be supported financially by the central government. To aid recruitment, the French government will offer 15,000 scholarships (compared to 7,000 currently) to HE students – though many of these are likely to be aimed at students from African nations and the Maghreb (North Africa). Around 6,000 additional institutional scholarships (both K-12 and HE) will be launched, according to the strategy paper. The report opens with a quote from president Macron, who in early 2018 said international mobility within the Francophone world can be “the foundation from which we can build”. In the same speech at the French Institute, home to the famous Académie française, Macron announced his intention to increase the number of foreign students in the nation and commissioned the new strategy from Campus France and HE minister Frédérique Vidal. The point Macron highlighted, and which this new national recruitment strategy makes (as do many competitors), is the heavy predicted rise in mobile students to 9 million by 2025 (so say UNESCO). France is currently the fourth most popular study destination, and the most popular non-Anglophone destination according to these figures. This plan will be enacted using a government injection of €10m in 2o19, called the ‘Welcome to France’ (Bienvenue en France) fund. However, this will be used mainly for the benefit of EU-domiciled and Erasmus students, The PIE News understands, as tuition fees for non-EU students will increase from September 2019. One start would be ensuring visa processing was easier for international students.